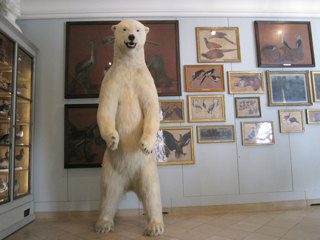 Since it’s renovation in 2007, the private "Musée de la Chasse et de la Nature" (The Hunting and Nature Museum) is something you shouldn’t miss, most of all when you come with kids. And even if hunting isn’t actually your favourite pass-time - in other words, if in your eyes it's something highly anachronistic and even cruel - you'll be surprised how this ancient activity convinces you otherwise: when, for instance, the albino white boar in one of the galleries starts telling you its life-story. Here, it’s all about the ancient relationship between humans and nature, it’s all about how we feared, hunted, tamed and often mythologized “beasts”. It’s about nature and art. 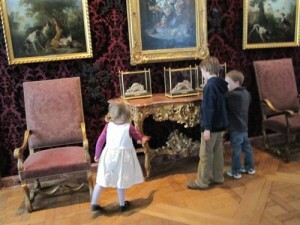 You'll find, of course, the old collection of painters, Cranach and Derain, as you would expect in museum like this. 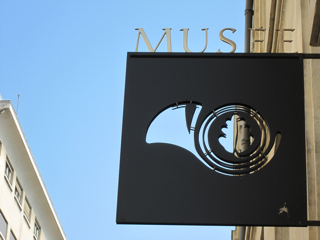 But since the museum's “reinvention”, contemporary artists are regularly asked to contribute. In between the salons you will discover works by Jeff Koons or Anne Deleporte. Which is why the famous gallerist Emanuel de Perrotin, whose gallery is in the neighbourhood, loves bringing friends to the museum. “It’s an absolute must, when you come to Paris”, he says. 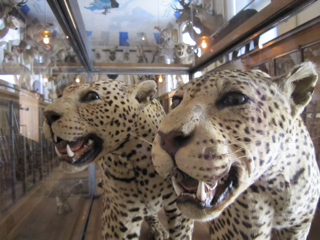 It’s a museum for everybody: Older people will enjoy the hunting collection with golden dog collars, young kids will get excited about meeting the creatures of their dreams and nightmares, the French taxidermist has made so lifelike. The brown bear is actually standing up on his two feet, as if he would like to shake hands. If all this hasn’t convinced you yet: Ccome for the architecture. L’Hôtel de Génégaud is the last house built by François Mansart, the 17th century famous architect to whom we owe mansart roofs. And if the bright blue of the window frames in the courtyard puzzles you, don’t think it’s a contemporary choice. It’s exactly the colour that they uncovered under seventeen layers of paint.